Many people find that the holiday season can be pretty tough on the wallet. From getting presents for your family and friends, to stocking up on cold weather clothes, it would be handy to be able to save a few dollars anywhere possible during these months. This doesn't mean you have to skimp, though, especially if you have a money-saving FoodSaver® FM5000 Food Preservation System. The holiday season is when even the most amateur bakers find themselves experimenting with baked goods. However, in October and the beginning of November, even those seasoned bakers are taking a breather before the hustle and bustle of Thanksgiving and Christmas. This is a great time to stock up on brown, white and powdered sugars, since prices will be lower because demand is lower. You can save the baking products until you're ready to bake, but you can even begin preparing your cookie dough ahead of time, as long as you store it properly in your freezer! People know how much turkey and ham they'll be consuming within the next couple of months, so these particular meats aren't being purchased too much in the weeks preceding the holiday season. If you have the space in your freezer, consider getting your Thanksgiving turkey and Christmas ham now. They can keep in the freezer for months before you cook them, so if the sale is really good, consider getting a couple to make for dinner in the future, too! Whether you've already eaten all of the fresh veggies you've saved in your freezer, or you just want to make sure you have enough to feed all of your holiday visitors, fresh veggies are most likely to be on sale in the weeks leading up to the holiday season. Get those green beans for your famous casserole, or some corn because it goes with everything! 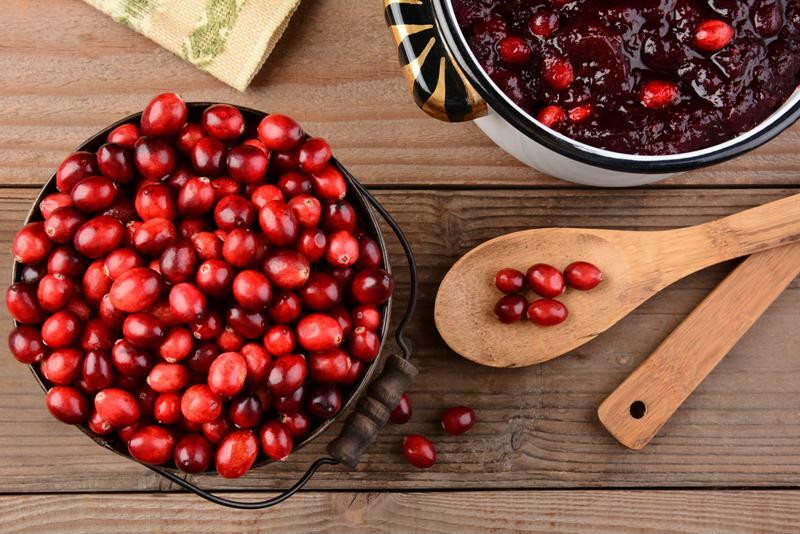 Cranberries have plenty of uses over the holidays. Not only does homemade cranberry sauce taste like perfection on a plate, but it's also easy to make ahead of time. Cranberries themselves freeze very well too, if you don't want to make your holiday sauce in October. Cranberries are at their peak from mid-September to mid-November, so they'll even taste better than berries bought closer to Christmas. Whether you want raw nuts to give that Christmas nutcracker a workout, or roasted nuts to use in your baking this season, now's the time to stock up on that supply. Most nuts can last a couple of weeks in their original packaging at room temperature, but when you vacuum seal them to store them in the freezer or in Fresh Containers to keep in the pantry, their shelf lives increase exponentially. The nut of the season, the chestnut, however needs a little extra care. Keep these nuts in their shells and store them in either your freezer or refrigerator if you buy them ahead of time. For busy and budget-minded shoppers, here are 4 must-haves to save money on your next trip to the grocery store.